A media transcoding software is always required to convert an audio or video file from one format or container to another format or container with required specifications to make it compatible with different devices and applications. There are numerous kinds of media converting and encoding software available today of which most good and well developed software are not free. Others which are freeware either does not offer all those features which users need at one place or are plain malwares which when installed on a computer steal users’ data. 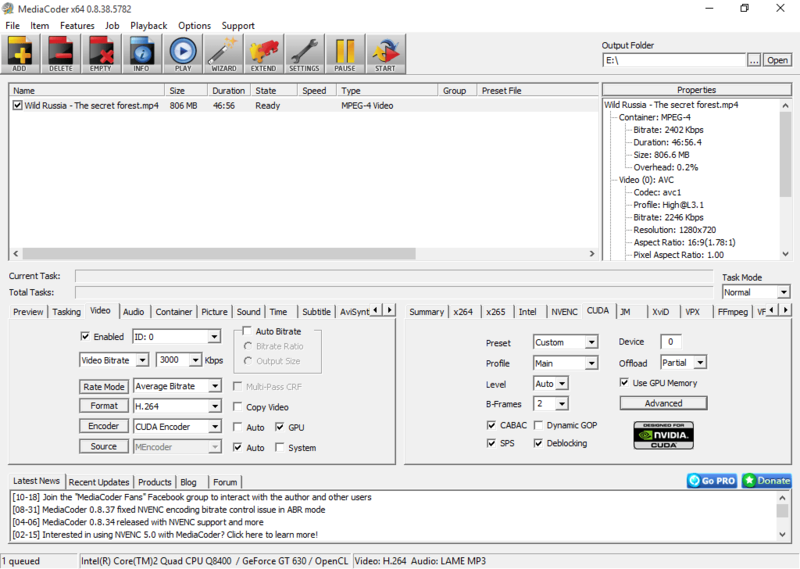 MediaCoder is one of those freeware and open source transcoders which is a desired alternative to expensive paid software. The first version of this software was released in 2005. Since then it has been actively improved for compatibility with latest versions of operating systems and newly introduced media formats. MediaCoder is not just an ordinary media converter, it is a universal transcoder designed for inter conversion between popular audio and video formats with numerous customization options for desired output. Parameters can be adjusted and fine tuned for required quality of produced media file. MediaCoder packs necessary codecs for trouble free working on transcoding projects. Rich features included are customizable audio and video encoders and filters, and adjustable multiplexer. Selective media formats can be applied to required container. For example, MKV container can be encoded with various supportive video and audio formats making necessary adjustments at an advanced level. Subtitle files can be customized, linked or included into the container file. Picture size can be adjusted with color spacing and other effects like de-noising, scaling, de-interlacing and much more. This software is a right choice for various types of possible applications. It can be utilized to extract audio from videos and media discs, reducing the size of audio and video files for sending via email, bluetooth or sharing over internet, converting the format or container for playback over wide range of gadgets and media players which support only selective formats, and repairing the damaged video files. 1- Compatible with Windows 10, 8.1, Windows 8, Windows 7 and previous versions. 2- Possible to convert between all known audio and video formats. 3- Extremely customizable. Numerous filters and parameters are available. 4- H.264 encoding supports hardware acceleration like Intel QuickSync, Nvidia Cuda and OpenCL. 5- Multi-threaded software design boosts the encoding speed by utilizing the multi-core processing power. 6- Supports ripping the video disks, direct capturing from camera, input from streaming and storage media. – Nags with online startup page at the beginning. Can be disabled easily. – Separate editions for x86 and x64 architecture. – Additional features can be obtained by getting premium edition. MediaCoder might be difficult to use for newbies but once it is understood, it becomes a pretty useful tool to work with. It might not be the best but what it offers free of charge deserves an appreciation. Overall, it is a stable and nicely developed transcoding software. Updated on Oct 18, 2015. Originally posted in Dec 2013.